The brazen contract-style killing of Russian opposition leader Boris Nemtsov carried out within range of a dozen security cameras and yards from the Kremlin walls in Moscow, serves as a grim reminder of the risks government critics face in Russia. The 55-year-old former governor and deputy prime minister under Russia's first post-Soviet president, Boris Yeltsin, was a member of the regional parliament in Yaroslavl and a staunch critic of President Vladimir Putin. In media interviews, op-eds, speeches and in-depth reports-many of which are still available on Nemtsov's website-Nemtsov criticized human rights abuses and corruption. Friends told news outlets that before he was killed Nemtsov had been preparing a document on widely reported claims of the Russian army's involvement in Ukraine. Moscow has repeatedly denied being part of the conflict, according to news reports. Nemstov had worked to expose corruption, human rights abuses, and repression, all of which have been deadly beats for Russian reporters, CPJ research shows. Putin and his officials have denied involvement in Nemtsov's killing. In a statement released from the president's office hours after it, Putin condemned the killing and urged heads of security agencies to personally oversee the investigation. But with a poor record for justice in such cases, it remains to be seen if progress will be made. In interviews, many people-from Nemtsov's friends and colleagues in the opposition movement to foreign correspondents-blamed Putin and the Russian government for either being behind the murder or indirectly encouraging such attacks. In a televised speech in March 2014, Putin had branded the opposition as the "fifth column" and "traitors;" since 2012 state-funded TV channels have aired what they call "special reports" that accused Nemtsov and other opposition activists of accepting funding from the West; and, just days before his murder, a pro-Putin rally rolled through Moscow, with participants carrying banners of those deemed enemies of the state. 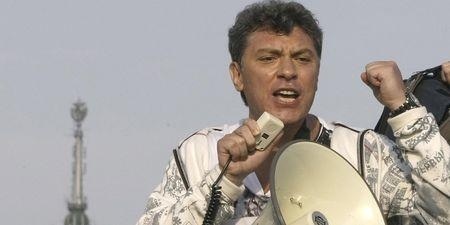 An image from the rally, published by Novaya Gazeta, showed a placard with Nemtsov's picture and the words "Organizer of Maidan" on it, a reference to the Kiev square where rallies were held that led to the downfall of Ukrainian leader Viktor Yanukovych. There is another reason to doubt Putin's demands for justice will produce results. Russia has a grim record of impunity when it comes to attacks and killings of journalists who investigated the same stories Nemtsov had exposed. Ever since 2008, when CPJ published its first Impunity Index, an annual report on the number of unsolved journalist murders, Russia has remained in a high position. At least 23 journalists have been killed in direct relation to their work in Russia since Vladimir Putin first came to office in 2000, CPJ research shows. In only three cases-those of Anna Politkovskaya, Anastasiya Baburova, and Igor Domnikov-have arrests and prosecutions of the killers been made. No mastermind in any of the 23 killings has been named or prosecuted, not even in cases where authorities made promises to oversee the inquiry and ensure justice. In January 2012, Putin personally promised Mikhail Beketov, the publisher of independent newspaper Khimkinskaya Pravda who wasseverely injured in an attack, that those responsible would be brought to justice, according to news reports. Beketov, who was attacked in Khimki,outside Moscow, in November 2008, did not live to see justice served. He died in 2013 from complications resulting from his injuries. CPJ has not been able to verify if any progress has since been made in his case. Oleg Kashin, a reporter who at the time of his attack was working for the business daily Kommersant, survived a similarly gruesome beating outside his apartment in Moscow in November 2010. Similar to Beketov, Kashin received assurances-including from then President Dmitry Medvedev-that the case would be investigated and justice served, according to CPJ research. With no progress made at home, Kashin filed a complaint against Russian investigators with the European Court of Human Rights in December, news reports said. Like Nemtsov, both Beketov and Kashin had exposed widespread corruption on regional and federal levels in their reporting. Justice is also yet to be served in the cases of Novaya Gazeta's Yuri Shchekochikhin and Natalya Estemirova, Akhmednabi Akhmednabiyev of Novoye Delo, and Gadzhimurad Kamalov of Chernovik. All were government critics who exposed high-level government corruption and reported on human rights abuses in Russia's North Caucasus, and who were killed. Similarly, authorities failed to act when journalists reported being attacked, correspondents told CPJ in September. Several journalists who, like Nemtsov, were investigating claims of Russian military involvement in eastern Ukraine, reported the attacks but told CPJ no investigation was carried out. Nemstov had talked in interviews about being threatened, and his claims were confirmed in a statement by Russia's Investigative Committee. In an interview dated February 10, Nemtsov told independent news outlet Sobesednik he shared his mother's fear that Putin might have him killed,reports said. But as in the case of Akhmednabiyev, Estemirova, and many other journalists who reported receiving threats to the authorities, there was no follow up from investigators, according to CPJ research. Putin may have condemned the killing and demanded justice, but it is not enough. He should take action to overturn Russia's impunity record. The government needs to commit to a thorough and transparent investigation, not only of Nemtsov's killing, but of all attacks against government critics and journalists. Suleymanov is a CPJ's research assistant in Europe and Central Asia. The piece has originally been published in a CPJ's blog.